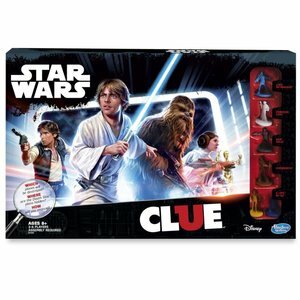 The mystery game players love to solve again and again now has a Star Wars twist! In this Star Wars edition of the popular "who done it" Clue game, players move about the gameboard as one of their favorite Star Wars characters on an important a mission to foil Darth Vader's plans, and to save the Galaxy from destruction! 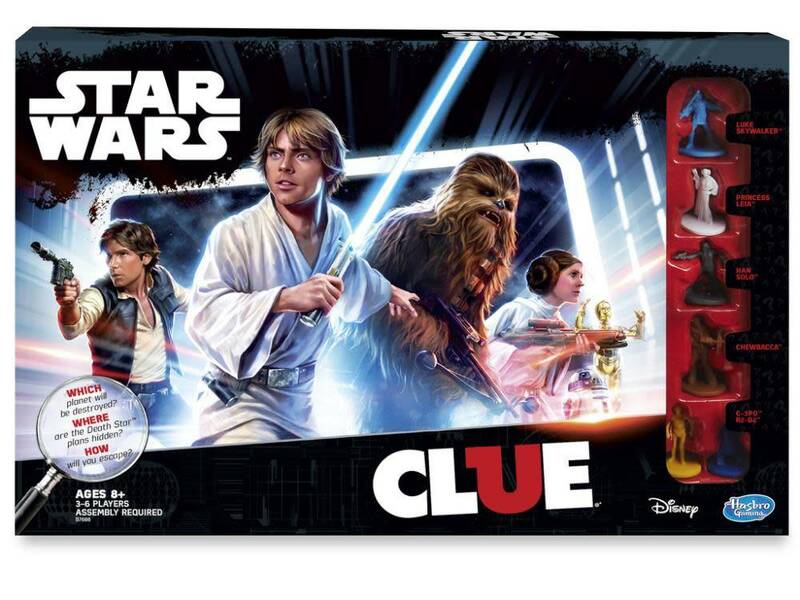 The Clue Game: Star Wars edition has an added dimension–literally. It features an awesome 3-D Death Star gameboard with 2 decks. Players roll the die and move their pawn around the corridors, and between levels of the board using the elevator spaces. After landing inside a room, players ask questions to figure out the Death Star mysteries. Then players must get to the Docking Bay to complete their mission by guessing the correct planet, room, and vehicle to win the game.